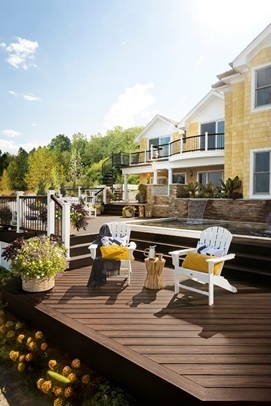 As temperatures cool, the days of summer fun and enjoying outdoor living may be a fading memory for many – but not for attendees and exhibitors at the recent Remodeling Show and DeckExpo, held in Baltimore, Md., last month. This annual convention provides building and remodeling professionals with a look at what’s ahead for the coming spring, which is why LCWA helped client Trex Company, the world’s largest manufacturer of wood-alternative composite decking, showcase its complete portfolio of outdoor living products – from decking and railing to substructure and spotlights – at this year’s show. On behalf of Trex, LCWA coordinated a record number of media appointments with editors from high-profile industry trade outlets, sharing insights on the latest outdoor living trends and reinforcing the company’s position as the leading resource for high-performance outdoor living solutions. Now that DeckExpo is behind us, we’re gearing up for the biggest building products trade show of them all – the International Builders’ Show. And, with winter setting in here in Chicago, we’re looking forward to a January visit to Orlando!